Conductive Ventures | Delivering Capital and Value to Build Next-Generation companies. adjective: able to transmit energy through a medium. We seek to find and fund the best entrepreneurs in the world. We are conductive by delivering capital and value to build next-generation companies. Fabless semiconductor company developing the world’s most energy-efficient microprocessors using subthreshold technology. We intentionally kept our last round of funding open for Paul when he told me he was in the process of launching this new fund with Carey. The team at Conductive is helpful and collaborative in the way they think and work. We’ve already begun to see early fruits from some of the business development introductions they’ve made on our behalf. Creating a world where you can lease any product with residual value. Carey was a Board Director at my previous start-up 500Friends and he was my first call when we began raising our round of funding. Many investors often push entrepreneurs to grow at all costs, resulting in value destruction. It was important to me that our investors were aligned not only with a scalable growth path, but also a sustainable one. Accelerating the transformation of manufacturing with end-to-end metal 3D printing solutions. I first met Paul almost 10-years ago when he invited me to speak at Harvard Business School about my entrepreneurial journey at A123 Systems. The start-up journey is full of ups and downs. The team at Conductive invests in long-term relationships. That’s why I made sure we made room for them in our previous round of financing. Disrupting the status quo in retail through accurate foot traffic analysis at an affordable price. Paul and his team added value to Dor right away through several introductions. Not only did he connect us to core engineers at our component vendor who helped us refine our product, but he also introduced us to experienced sales professionals and potential customers. Enabling you to play the lottery via a mobile app. Carey has added a tremendous amount of value from the start. As a growing start-up being pulled in many directions, Carey has helped to prioritize and focus us on the right trajectory. He has a wealth of knowledge and connections that have proven invaluable. His experience as an investor is demonstrated on a consistent basis whenever I seek his counsel. Leader in the design and manufacture of zero-emission electric buses. I’ve known Paul for over a decade and worked closely with him in various operating roles, including Tesla Motors, before he became an investor. Through the peaks and valleys, Paul has always demonstrated an incredible work ethic. He’s the type of guy you want in the foxhole with you. As an investor, he brings the same effort, experience, and guidance to entrepreneurs. Carey originated and led our Series B round of financing and previously served on our Board of Directors. We are excited to have Conductive Ventures as an investor as they’re adding value by making helpful introductions on our behalf. As we seek to grow and scale, we want to ensure we have long-term investors that are aligned with our business objectives. Survata sells Brand Intelligence to the world’s biggest brands. From the first meeting, it was clear that Carey had deep domain expertise when it came to SaaS and selling into the Chief Marketing Office (CMO) suite given his strong investment background in the space. We’re actively working with the entire Conductive Ventures team to accelerate the growth of our company. 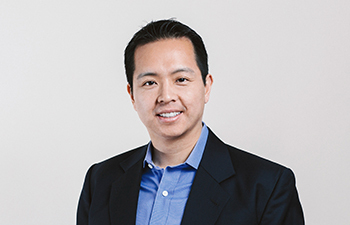 Paul Yeh is a founding team member and Managing Director at Conductive Ventures, a $100M enterprise software and hardware fund. He leads the firm’s hardware-related investments. These include autonomous vehicle technologies, additive manufacturing (3D printing), semiconductors, drones, industrial IoT solutions, AI-enhanced robotics, among others. Paul has over 15 years of venture capital, technology, product, and operations experience. Prior to Conductive Ventures, Paul was a Partner at Kleiner Perkins Caufield & Byers (KPCB), where he focused on KPCB’s hardware and sustainability investments. Paul has worked as a board director/observer with entrepreneurs at AEye, Agrivida, Ambiq Micro, Amprius, Beyond Meat, Cross Bar, Desktop Metal, DJI, Ionic Materials, LuxVue Technology (acquired by Apple), mCube, Motiv, Relayr, and Solidia. Before joining KPCB, Paul served as Director of Strategy & Business Development at Fisker Automotive, the manufacturer of premium plug-in hybrid electric vehicles. He worked directly with CEO Tom LaSorda (former President and CEO of Chrysler Group) and founder Henrik Fisker in setting the company’s short and long-term strategies. Paul also led joint-venture discussions with other automotive manufacturers across the world, where he managed team members from powertrain and vehicle engineering, manufacturing, purchasing, logistics, and sales. Paul has also worked at Next Autoworks as Director of Marketing & Finance. He began his career as an investment banking analyst focused on technology M&A at RBC Capital Markets. Paul also spent time at Ford Motor Company, McKinsey & Company, and Tesla Motors in various product development and operating roles. Takashi Nishikawa is the Vice President of Panasonic Ventures, L.L.C. and a founding team member and Managing Director of Conductive Ventures. With a long career at Panasonic in Japan along with his extensive experiences in Silicon Valley, Takashi discovers new ways startups can effectively collaborate and engage with Panasonic and its key partners. Takashi joined Panasonic in 1992 and worked on the compound semiconductor material and device development. After working on power transistors for some of the earliest cellular phones, he began product development of short wavelength laser diodes for Blu-ray. While developing technology for Blu-ray, Takashi received his first experience with outside technology disruption with the emergence of (gallium nitride) GaN, which caused the shutdown of his internal project. Eventually, he transitioned his career as a product engineer to R&D strategy and planning. Through his experiences developing long-term roadmaps, he soon discovered that incremental improvements in technology were quickly being disrupted by Silicon Valley startups. The traditional role of R&D in a large corporation changed quickly as new dominant platforms emerged. Traditional roadmaps were unable to accurately predict the speed and scale of new platforms such as Amazon, Apple, Facebook and Google. 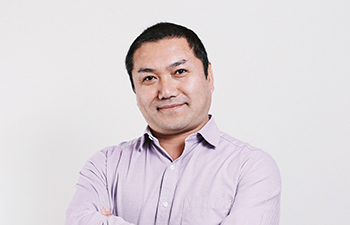 Having been disrupted both as a product engineer and R&D strategy planner, Takashi decided to leverage his experiences by identifying and scouting new technologies in Silicon Valley beginning in 2008. He focused on promoting strategic collaboration between startups and Panasonic R&D. He continued this work when he returned back to Japan in 2012. Takashi earned a M.S. in Material Engineering and has a background in Chemistry and Solid-state Physics from the Tokyo Institute of Technology. Norihiro (Nori) Kondo is a Director of Panasonic Ventures L.L.C where he leads the Silicon Valley New Business Development Center. 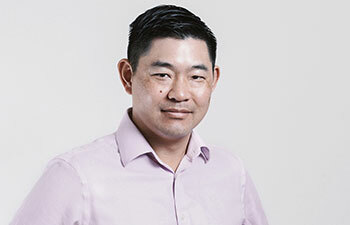 He is also a founding team member and Head of Business Development at Conductive Ventures. Nori has been working at Panasonic Corporation of North America for 18+ years in various B2B/B2G verticals. Nori actively works with multiple Silicon Valley and East Coast-based accelerators such as Plug and Play Tech Center, StartX, House/UC Berkeley, ERA, as well as various CVCs for inter-corporate collaborations. 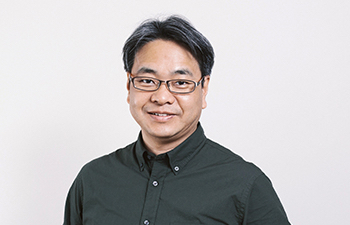 Nori serves as a strategic corporate adviser for Brand & Retail IoT, and as a mentor for multiple international programs of the Plug and Play Technology Center. Nori also serves as a corporate member of the Police Executive Research Forum (PERF); advisor for Retail Marketing Society (RMS); board member of Asian American Multi-Technology Association (AAMA); and board member of Silicon Valley Robotics (SVR). Nori earned an M.S. in Information System Management from Ferris State University and graduated with a degree in Management Information Systems from Michigan State University and Faculty of Intercultural Communications from Josai International University in Japan.